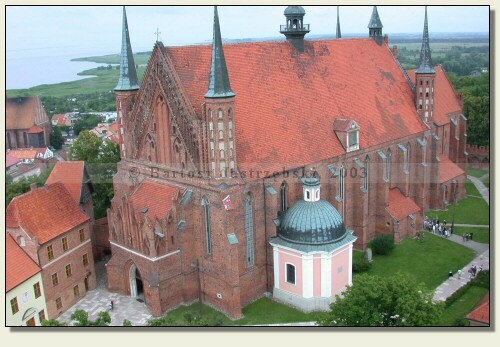 Frombork lies 10 km on the south-west off Braniewo. Entering the town from the random side you must follow the main road the whole time and head for the center. You will find the defensive complex there without any problem. 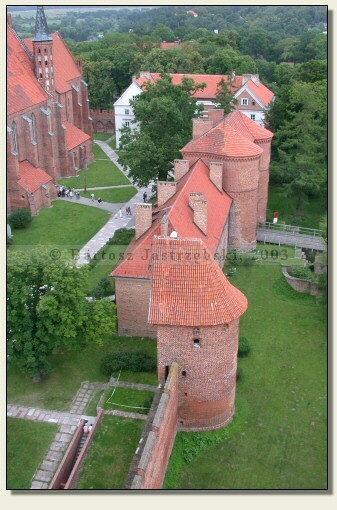 There was never a castle in Frombork, but the local building has a distinct defensive character, therefore it has been presented on the website. 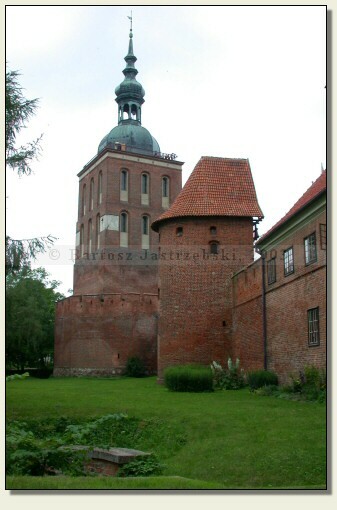 The original provisional Teutonic or Episcopal castle arose there the most probably in the place of earlier Prussian settlement. 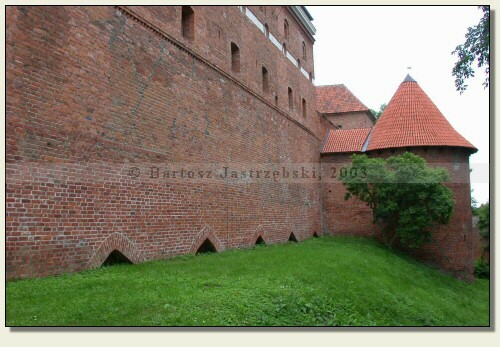 The building of a defensive complex was begun at the beginning of the XIVth cent. The cathedral came into existence in the years of 1330-1388, and around it the cemetery arose. 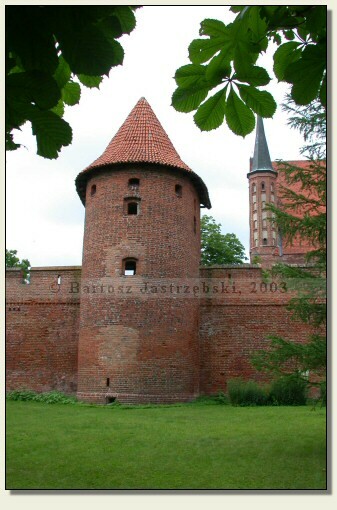 Later the circular wall was built, to which residential buildings were annexed. 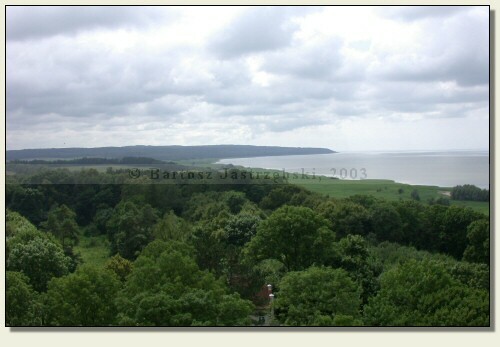 The construction lasted nearly uninterrupted till the beginning of the XVIIth cent. 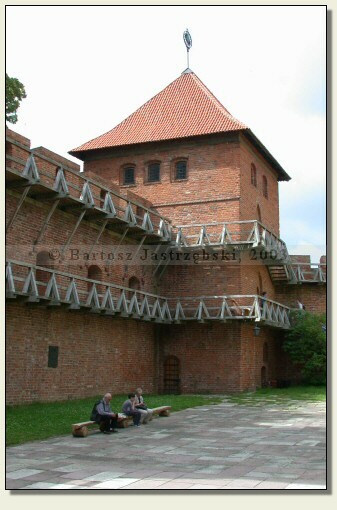 The fortified cathedral complex was many a time besieged and conquered by the Polish, Teutonic and mercenary Czech troops. 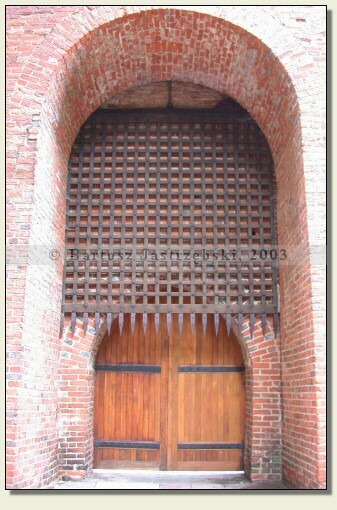 There were severe especially the destructions made by the Swedes in the years of 1626-1630 and 1655-1660. In the years of 1843 and 1856 the part of the fortification was disassembled, and in 1945 the complex was partially burnt down and devastated. After the war numerous conservation works were carried out.